For anyone still looking for holiday deals this Christmas Eve, there’s many stores and retailers with extended hours and offering great deals. 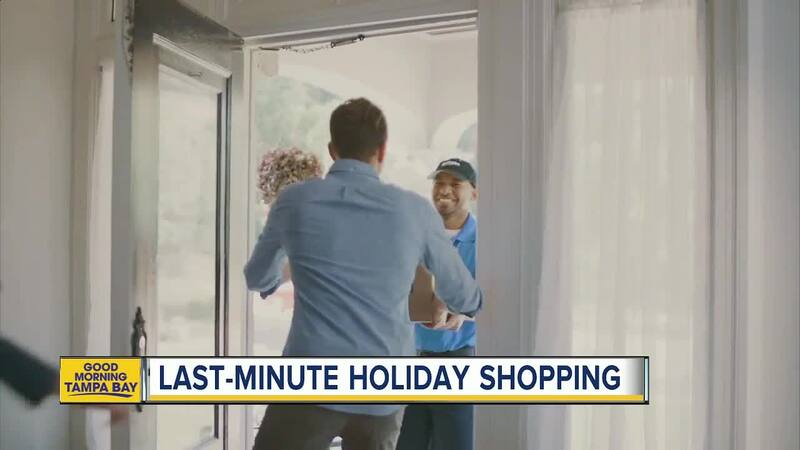 BRANDON, Fla. — For anyone still looking for holiday deals this Christmas Eve, there are many stores and retailers with extended hours that are offering great deals. Kohl’s is open until 6 p.m on Christmas Eve and shoppers can take advantage of free in-store pick-up on items until 3 p.m. The store has been open 24 hours since Friday, Dec. 21. Walmart will stay open until 6 p.m. on Christmas Eve and is offering some good deals on electronics, including an XBOX console for $100 off and an Apple iPad for $80 off. Macy’s will stay open until 6 p.m. on Christmas Eve. Target will stay open until 10 p.m. on Christmas Eve. And there is still time to get items delivered by Christmas. Amazon Prime Members can shop on Christmas Eve for same day delivery in many cities. While all zip codes don’t qualify, many in Tampa and St. Petersburg do. FedEx is also offering same day shipping options. Experts say prepare for even better deals after the Christmas holiday. Sales between Christmas and New Years are expected to be even bigger.